Simon is available for recording sessions in your studio or his own, using live instruments and/or the latest virtual instruments. 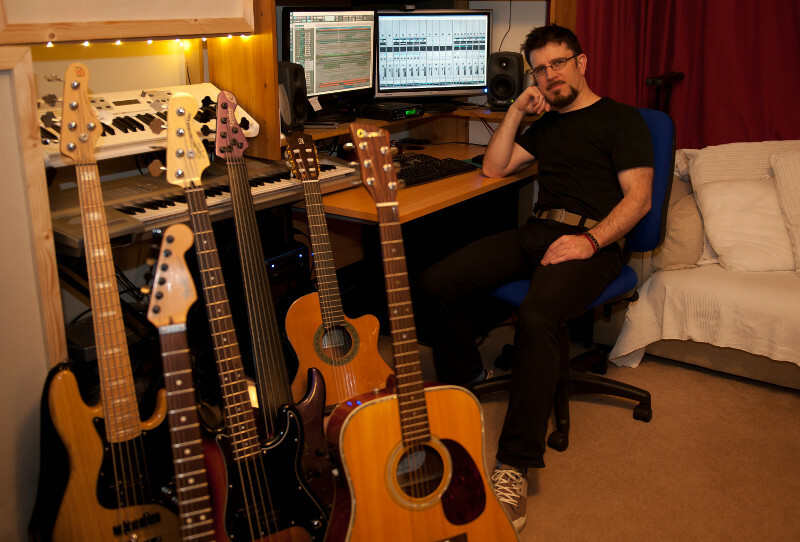 From doubled acoustic guitar parts, atmospheric harmonica melodies and phat basslines to full instrumental arrangements, Simon's rich musical background and skills are sure to add to your track. Please contact Simon to discuss your requirements. Copyright (c) 2013 studiomusician.co.uk. All rights reserved. This site was built by Simon Brewin and Jon Austin of AustinWebs using a design by FreeCSSTemplates.org. Photos by Codapixel.